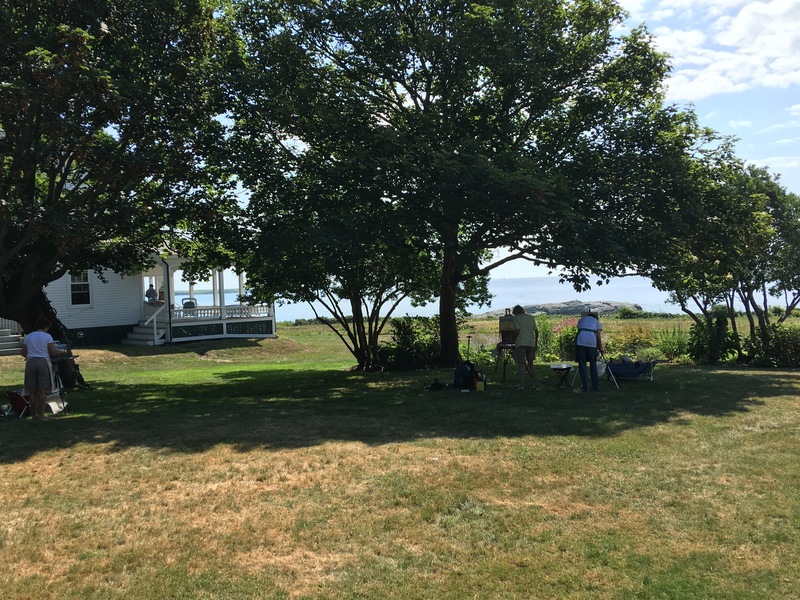 Late in August, one of my outdoor painting students invited the class out to her summer residence to paint on the grounds overlooking the ocean. I didn’t have to think very hard before accepting, and we all went out on the designated morning on a steamy summer day. After a brief look around, we all decided it would be best to keep to the shade; the day promised to be very hot despite the nice sea breeze. The view was east toward Sachuest Point with a prominent rocky ridge just at the near coast. The place was quintessentially coastal New England, with the kind of summer light one never forgets. My painting from the morning is shown here. I felt the need to see some part of the house in the picture. It seemed like being on the porch of the house was part and parcel of looking out at the ocean there. But instead of painting from the porch, I painted the porch itself, along with the wicker chair one would need to spend the morning looking out, reading, writing and considering the eternal. Painting class at Whetstone. If you look closely, one student is visible on the porch. 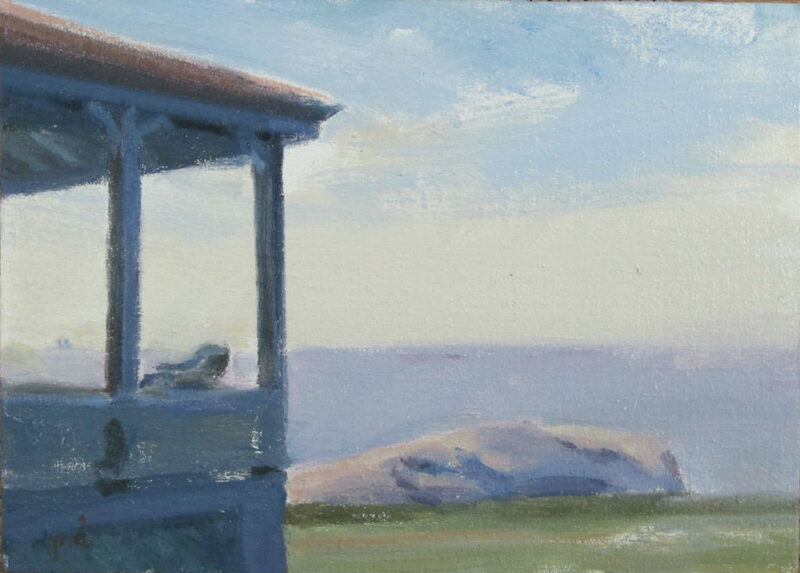 Whetstone, 2016, oil on linen mounted on panel, 20×28 cm.